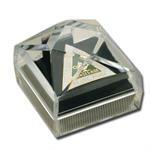 Make your presentation complete with this distinctive gift box...an ideal way to add a touch of elegance! 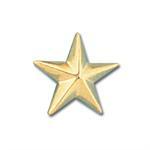 Our gold Star award pin is an inexpensive way to show your staff that you appreciate their effort. Prices range from $2.79 to $1.19 each. 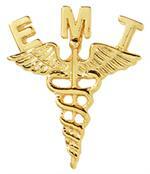 Recognize your staff with one of our in-stock Medical Award Pins. 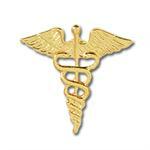 Recognize your staff with one of our in-stock Medical Award Pins. 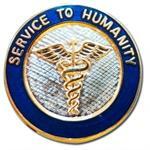 Ideal for any volunteer program! 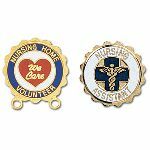 You can also get pins for CNA's, Home Health Aide etc. Prices range from $4.39 to $1.89. 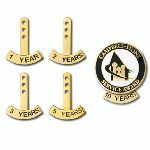 Service Award bars recognize years of service and attach to award pins with loops. 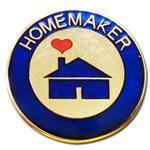 Prices range from $2.99 to $2.49 each. 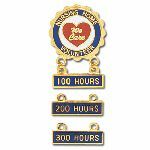 Recognize years of service with our gold Rocker Tabs. Prices range from $2.79 to $2.29 each. 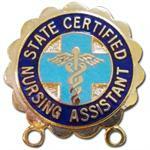 CLEARANCE WHILE SUPPLIES LAST! $1.99 EA! 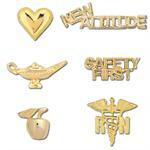 In-Stock Service Award Pins: 1 year, 2,3,...up to 10 years, 15, 20, 25 and 30 years. Price range from $2.99 to $2.49 each. 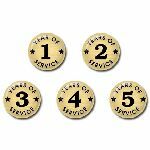 Adhesive Dome Service Awards are a quick and easy way to recognize continuing years of service. 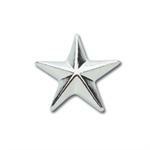 Our silver Star award pin is an inexpensive way to show your staff that you appreciate their effort. Prices range from $2.79 to $1.19 each. CLEARANCE! .99 each while supplies last! 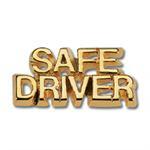 Recognize your staff for being safe when driving with a "Safe Driver" attractive, metal motivational pin. Clearance... just .99 each while supplies last! 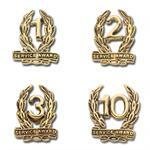 Want to mix up your motivational awards? 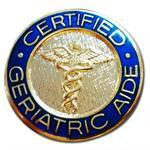 Looking for a less specific award for certain staff members? 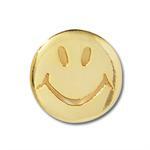 Our Smiley award pin is a fun motivational pin that can represent whatever you want it to! 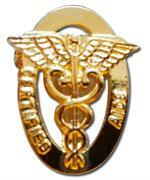 Recognize your employees for exceptional service. 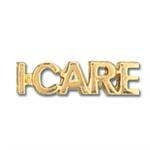 Our "I Care" award pin is an inexpensive way to show your staff that you appreciate their effort. 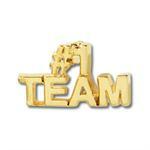 Inspire teamwork! Clearance... just .99 each while supplies last!